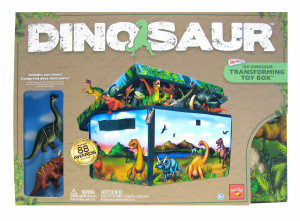 Weighing two pounds with sturdy sides and lid, the toy box unzips to become a dinosaur play mat. The two included toy dinosaurs spark imaginative play. Store, stack and stow when it’s time to hide away your prehistoric predators! Wipe clean surface with damp cloth. 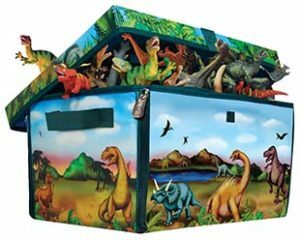 Have fun and decorate your room with all Neat-Oh!® ZipBin® Dinosaur products. Lightweight – Fits almost everywhere.